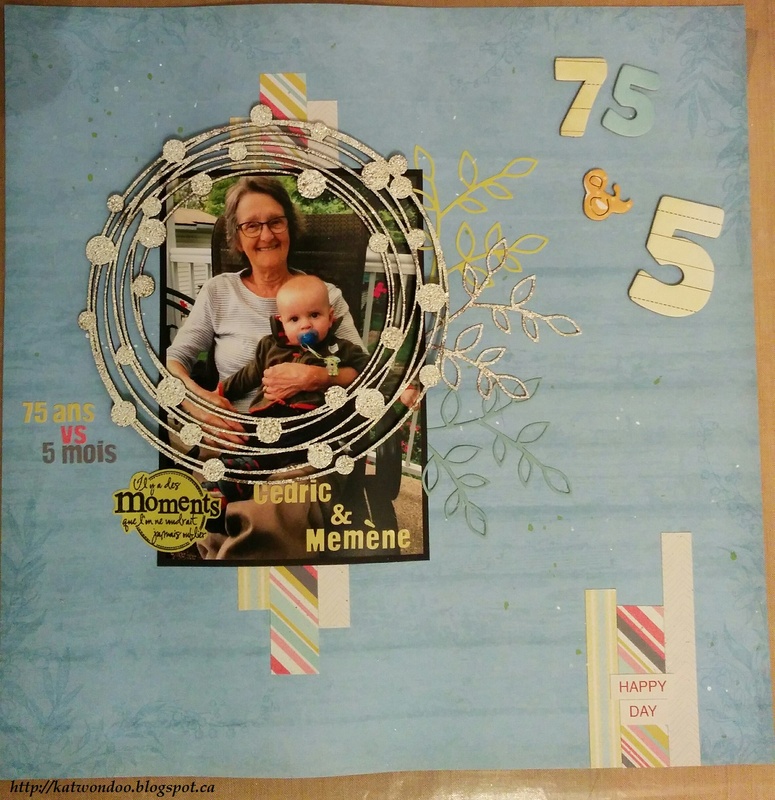 Today, I'm showing you my latest scrapbooking layout, starring my grand mother and baby boy. I'm so glad she's still part of our lives and had the chance to meet him. No doubt he will love going at her place as much as I did. The title of my page is 75 vs 5, thought it was great to valorize their age difference (and for CE challenge!!) My die cut (from Poppy Stamp) and chipboard (from Creative Embellishments) were heat embossed with shabby white embossing enamel powder. Love the glitter in this powder!! Adorable layout - great work and great photo too! Beautiful photo and layout! Thans for joining our challenge at Creative Embellishments. Wonderful page, great photo and layout. How fun to see a page layout in our submissions! Love how you used the wreath to draw the eye in to the sweet photo. Thanks for playing along with us at Poppystamps this month. Superbe page. Merci d'avoir participé au défi de Creative Embellishments. Great photo that you scrapped perfectly. Great layout. Thanks for playing along with us at Creative Embellishments. Wonderful! Love the circle chipboard round the beautiful photo! Thanks for joining the Berry71bleu challenge this month! Adorable layout! Love the sweet photo, framing, and leaf details! Thanks for playing along with the Creative Embellishments September Challenge!